Google Presentation is a great tool for helping students construct knowledge about a topic as they create. Here is an interactive tutorial designed to demonstrate how to use some of the handy built in features. 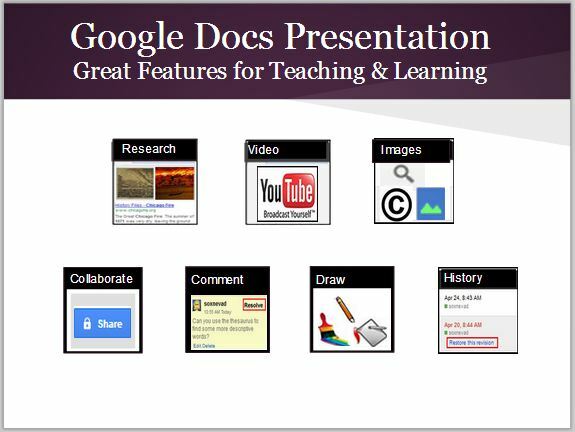 If you are interested in learning more about the features in Google Docs Presentation, you might want to check out my recent post on GettingSmart.com.